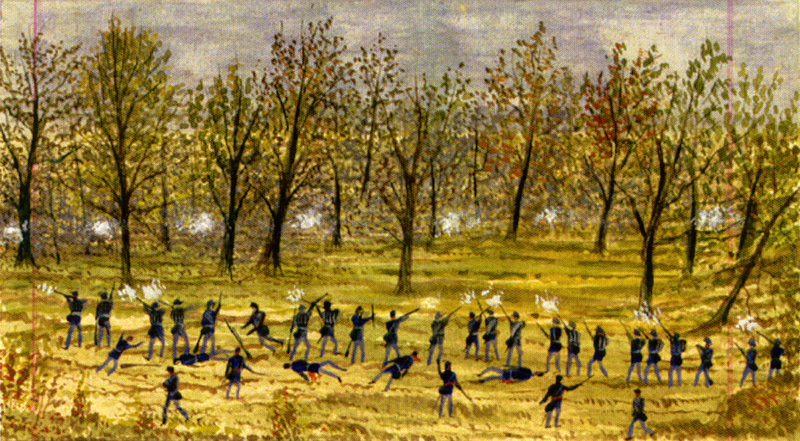 Today marks the 150th anniversary of the Battle of Cedar Creek. That battle witnessed many terrible scenes, but there were surely few to match that experienced by Irish emigrant Charles Reilly, who went into the fight shoulder to shoulder with his young son. To remember their story I wrote a column which appeared today on TheJournal.ie site, Ireland’s largest online newspaper. 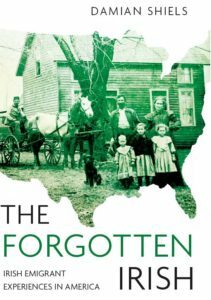 I also took the opportunity to discuss Ireland’s decision not to remember any of these emigrants during the occasion of the 150th anniversary of the conflict- despite the almost unparalleled number of Irish impacted. If you are interested in reading the piece you can check it out here. At the Going down of the Sun and in the Morning, we have forgotten about them. What a disgrace! It is hard to disagree- it is a terrible pity that our deeds as a nation when it comes to our diaspora and it’s history and heritage do not match our words. Just got back from a reenactment at Cedar Creek. Spectacular! Over 1,000 participants in the battle. All of the troops that gave their lives were remembered with the playing of taps at the end of the performance. I would love to have seen it- great to hear it was so well attended. This Reilly was the one with the 9th New York- there is a strong chance the other one was Irish too I may have to see can I find out more about him.